I try to avoid discussions of politics on Feel Good Fridays because I want this space to focus on the good works being done by people around the world. That being said, the rise in hate crimes only days after the outcome of the U.S. presidential election is what inspired this week's organization. Once again, we celebrate the Southern Poverty Law Center (SPLC). If that's ringing a familiar bell it's because we profiled their school-based program Teaching Tolerance in this post last month. Today we're focused on what they do to fight hate. As stated on their website, "we monitor hate groups and other extremists throughout the United States and expose their activities to the public, the media and law enforcement." There is an interactive map of the 892 hate groups in the U.S. so you can see where they can be found. In an effort to bring these people to light and to justice, SPLC maintains a extremist files database of prominent extremist organizations and individuals and explains their ideologies. They also "publish investigative reports, train law enforcement officers and share key intelligence, and offer expert analysis to the media and public." So what does all this monitoring and tracking do, besides make you depressed realizing how much hate is out there? As the SPLC explains, "over the years, we've crippled or destroyed some of the country's most notorious hate groups - including the United Klans of America, the Aryan Nations and the White Aryan Resistance - by suing them for murders and other violent acts committed by their members or by exposing their activities." That's what happens when you tangle with a law center! In addition to fighting hate and teaching tolerance the SPLC has programs focused on children's rights, immigrant justice, LGBT rights, economic justice and criminal justice reform. You can click all these links now or you can wait... this may not be the last time we turn to the Southern Poverty Law Center on a Feel Good Friday. 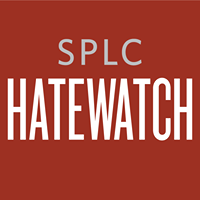 Support this important work with a donation and by liking the SPLC Facebook, the HateWatch Facebook page following them on Twitter @splcenter.